"Mi Gente" (English: My People) is a song recorded by Colombian singer J Balvin and French singer and producer Willy William. It was released on 30 June 2017 through Scorpio Music and Universal Music Latin. It is a remix of Willy Wiliam's song "Voodoo Song". The single was serviced to US contemporary hit radio on 18 July 2017. A remix version featuring Beyoncé was released on 28 September 2017. 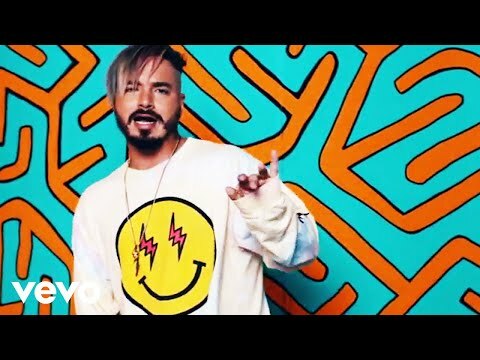 J Balvin and Willy William dropped six more "Mi Gente" remixes on 20 October 2017 with Steve Aoki, Alesso, Cedric Gervais, Dillon Francis, Sunnery James & Ryan Marciano, and Henry Fong. "Mi Gente" is a remix of Willy Wiliam's song "Voodoo Song", released two months prior to "Mi Gente". Directed by 36 Grados, the accompanying music video premiered on Vevo the same day of the single release. Leila Cobo from Billboard magazine described the video as "an explosion of color and dance" which features people from around the globe and that is all about unifying through music. It has many cameo appearances, including Italian millionaire Gianluca Vacchi. The music video has over 1.2 billion views on YouTube as of November 2017.